Book News: Sci-Fi Author Jack Vance Dies At 96 : The Two-Way Also: Don Share is named the new editor of Poetry magazine; Malcolm Gladwell hates the New York Public Library. 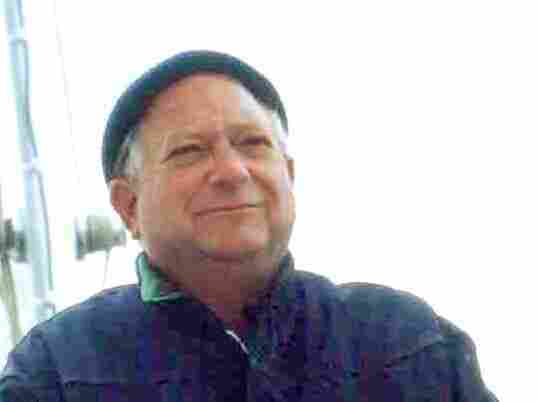 Science fiction and fantasy author Jack Vance died Sunday evening, his son told The Associated Press. He wrote more than 60 books, including The Dying Earth. In 2009, writer Michael Chabon told The New York Times that "Jack Vance is the most painful case of all the writers I love who I feel don't get the credit they deserve. If 'The Last Castle' or 'The Dragon Masters' had the name Italo Calvino on it, or just a foreign name, it would be received as a profound meditation, but because he's Jack Vance and published in Amazing Whatever, there's this insurmountable barrier." Vance was 96. On Wednesday, the National Book Critics Circle announced the creation of a new prize, The John Leonard Award, for a first book. John Leonard was an editor of The New York Times Book Review and a founding member of the NBCC. Kurt Vonnegut once said of him, "When I start to read John Leonard, it is as though I, while simply looking for the men's room, blundered into a lecture by the smartest man who ever lived." Blink author Malcolm Gladwell told a panel that the New York Public Library is a "massive money sink of a mausoleum," adding that it "should be focused on keeping small libraries open, on its branches all over the city. ... Go back into the business of reaching people who do not have access to books. And that is not on the corner of 42nd and Fifth." Author Terry Eagleton savaged the recently-published letters of J.M. Coetzee and Paul Auster for the Times Literary Supplement:" It threatens us with a whole new genre in which readers will relish Martin Amis's thoughts on chartered accountancy simply because they are the thoughts of Martin Amis, or queue to hear a talk by Bono on tropical diseases just because he has played so many gigs." Poet Don Share has been named the new editor of Poetry magazine. Christian Wiman, the current editor, will step down in June. Share is a senior editor at the magazine, and has written several collections of poetry. You can read two of his poems over at The Paris Review. Pulitzer prize-winning author Steven Millhauser has a new short story, called "Thirteen Wives," in The New Yorker: "People sometimes ask, 'Why thirteen wives?' 'Oh,' I always say, putting on my brightest smile, 'you can't have too much of a good thing!' "